Mon to Sat 10am-4pm, Sun 2pm-4pm | Closed daily between midday-14:00. Adult FREE, Child FREE | There is a charge for tours. Built by Sir Christopher Wren 1682-1692, the Grade I-listed Royal Hospital Chelsea was intended by King Charles II to be a home for soldiers who were unfit for further duty because of injury or old age. 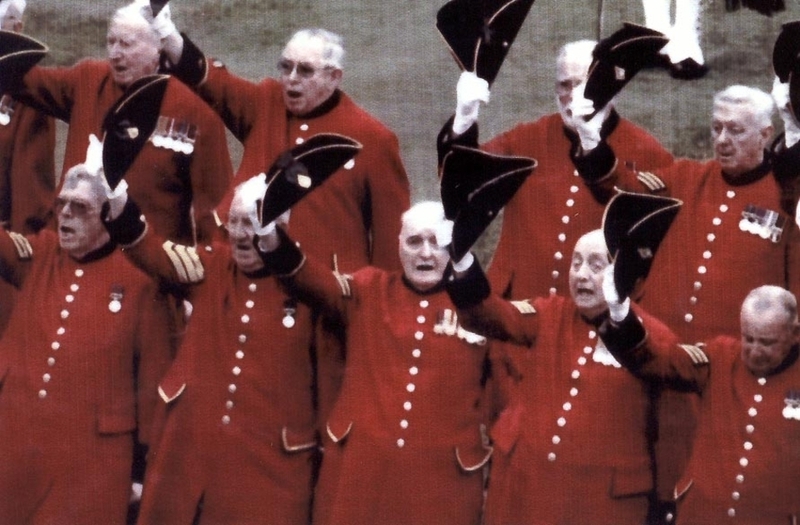 Hundreds of years on and the 66 acres (27 hectares) site is still home to these Chelsea Pensioners or "The Men in Scarlet", who can be seen in their colourful jackets and triangular hats making their way down the Royal Hospital Road. The Chapel, Great Hall, museum and State Apartments are open to visitors and are of particular interest. The Great Hall, used for dining until the early 19th century, is furnished with sixteen long tables (each one seating 26 members of each Ward); the large mural painting at the far end dates from about 1690 and represents Charles II on horseback surrounded by allegorical figures, with the Royal Hospital buildings in the background. Beautiful grounds are open daily except during Chelsea Flower Show months (May or June) which has been held at the South Grounds since 1913. The National Army Museum and the Chelsea Physic Garden close by are also worth a look. What are the best dining options near Royal Hospital Chelsea London? Royal Hospital Chelsea gyms, sporting activities, health & beauty and fitness. The best pubs near London Royal Hospital Chelsea. Royal Hospital Chelsea clubs, bars, cabaret nights, casinos and interesting nightlife. Where to have your meeting, conference, exhibition, private dining or training course near Royal Hospital Chelsea. From cheap budget hotels to luxury 5 star suites see our deals for Royal Hospital Chelsea hotels, including Draycott Hotel London from 76% off.